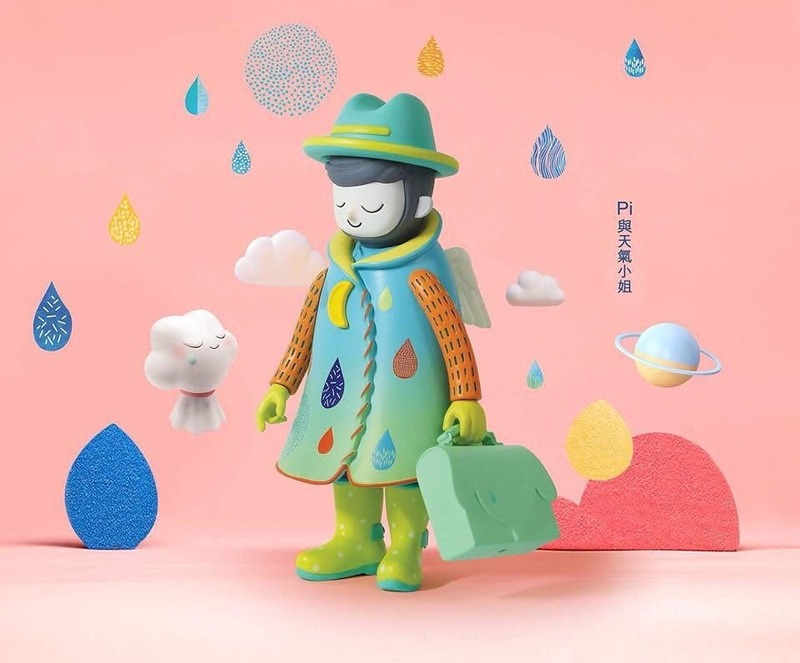 As part of his Zu and Pi project, Steven Choi will release his new Pi and Miss Weather figures with a rainy-weather theme from How2work at the first-ever Shanghai Toy Show (4.5-4.7). This new edition of Pi features colorful raindrops on his overcoat with a light green suitcase. It’s almost as if this toy stepped right off one of Steven’s Zu and Pi paintings which focus on the need for balance in life. 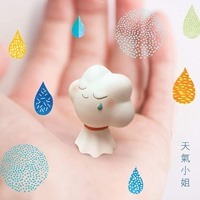 This may be the first release for Miss Weather, an adorable, joyful cloud. We’re really looking forward to seeing both of these figures in person at STS.